My dad was diagnosed with stage 4 pancreatic cancer in 2014. But you wouldn't be able to tell by looking or hanging out with him. He was always happy, smiling, making others laugh, moving things he shouldn't be moving, and wanting to eat all the food that his doctor told him to stay away from. If there was one thing my dad showed us, it's to never be selfish. He always put his family first, even up to his last breath, and fought to stay around to see my oldest brother get married, my sister graduate and start college, my brother get promoted, and me master the essential Filipino dishes for my survival. When he was diagnosed, we knew that the life expectancy ws 6-8 months. Then we hit six months, and the only thing different about my dad was that he was going crazy from staying at home and being on "disability". And he wanted to buy all of the things he saw on the home shopping network. Sure, there were some bad days. Days where he felt too sick to drive. Too sick to go out of the house. Too sick to do anything other than sleep all day. But there were so many more good days. Good days where he got dressed up and watched his eldest marry the woman of his dreams. Good days where he sat in the stands of his youngest's high school graduation and cheered as she walked across the stage. Good days where his son would come home and tell him he got promoted. Good days where he sat in a chair, though it did hurt his back, in the kitchen next to me, teaching me how to cook his signature dishes. His Kare Kare though, am I right? Good days where his four children took the day off and all drove home to surprise him and cook for him for his birthday. We were never supposed to get those good days. Everyday after that six month mark was his, 'one more day' with us. And he's fought so hard everyday for the two years to get another, 'one more day,' with us. And now it's our turn to be strong for him. While I still wish he was here with us, I know he's in a better place where he has no more pain and is no longer suffering. Your fight is why I wage hope, Dad. 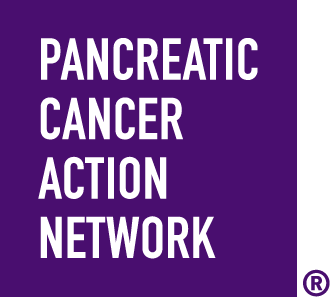 The day that you were officially diagnosed with Stage 4 Pancreatic Cancer, mom didn't want to have you hear it from your doctor. She wanted to tell you while having us around. Mom tried so hard to be strong for you when she told you. We all did. But when we started to tear up and cry, you were strong for us instead. You told us that there was nothing to be scared of. That you knew your body and you already knew something was wrong and that you were prepared to fight. And that as long as we had a plan, that things would be okay. I love you, Dad. And there will forever be a gaping hole in my heart. But I know you'll be watching over us. Only because mom made you change your promise to watch us ALL the time and not just sometimes. Love you, dude. I'll miss catching you laughing at me, not realizing how much of your quirky charm I inherited. And because I'm just freaking hilarious.